Fourteen days of Italian magnificence and supreme activities immersed in true bits of paradise. 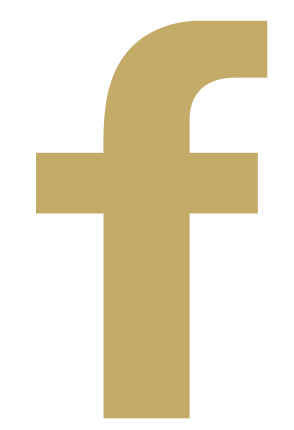 Our Bocelli Four Seasons Tour is our most comprehensive luxury Tour, tailored for those who wish to experience the authentic Dolce Vita while discovering the life and art of our beloved Maestro Andrea Bocelli. The Bocelli Four Seasons Tour features a grand selection of day tours including the popular sites of Ancient Rome, Lazio, Umbria and Tuscany with the possibility of customizing the classic itinerary with day tours in Venice, Le Cinque Terre and Portofino. You will be accommodated at the stunning and exclusive Bocelli FarmHouse apartments or Bocelli Luxury apartments overlooking the paradisaical countryside of Valdera. 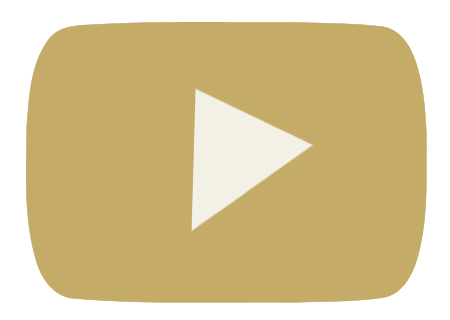 Here, you will have the chance to immerse yourself in Maestro Bocelli’s native countryside scenarios and properly relax. 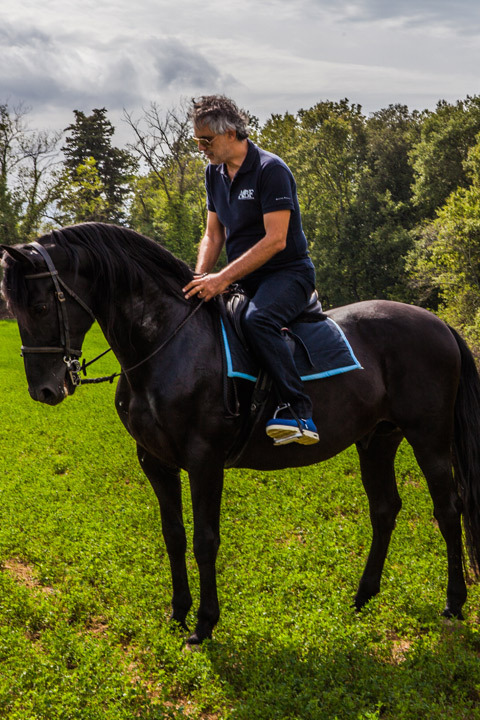 During your Bocelli Four Seasons Tour you will enjoy a unique selection of seasonal activities – from private cooking lessons with the Bocelli FarmHouse chef to horseback riding adventures, to relaxing Spa treatments. 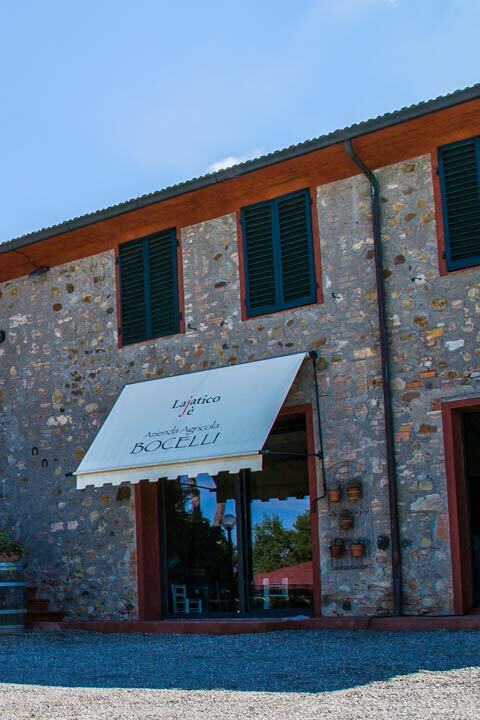 Enjoy luscious wine tastings and vineyard tours amongst Italy’s top canteens – including an exclusive tour of the Bocelli canteens, to taste the Bocelli family’s very own wine. The Bocelli Four Seasons Tour is a cultural and culinary experience like no other. Benvenuto a Roma! On the first day of your Bocelli Four Seasons Tour, you will be greeted at the Airport or train station by your Private English Speaking Driver. He will be at your complete disposal for the duration of your trip, and will chauffeur you around in a comfortable and elegant Mercedes Benz vehicle. Upon your arrival, he will accompany you to your luxurious accommodation in Rome’s historic center. Enjoy some relax time in the afternoon, before heading to an exquisite dinner in the evening to indulge in some authentic Italian cuisine. On your second day in Rome, you will be visiting some of the most important sights the eternal city has to offer. Delve into Ancient Roman history on your guided visit of the Colosseum and Roman Forum. Circus Maximus, Palatine Hill, the Aventine and the Pantheon are also on your morning itinerary. Enjoy a traditional Roman lunch in a typical osteria, before heading to a visit of the astonishing Teatro dell’Opera. For dinner, prepare yourself for yet another delicious four course meal at a top restaurant near your hotel. Your third day is all about exploring the breathtaking monuments that make Rome so unique. Make a wish at the Trevi Fountain, do some shopping on Via Condotti by the Spanish Steps before an exquisite lunch in the heart of Rome. In the afternoon, you’ll be heading to the Vatican to partake in a guided tour of the Vatican Museums and Sistine Chapel. Along with St. Peter’s Basilica, you will visit other gorgeous cathedrals such as St. John’s and St. Peter’s Outside the Walls. After this culture filled day, indulge in an authentic dinner at a fine restaurant. After checking out from your Roman accommodation, your English Speaking Driver will chauffeur you to the breathtaking town of Orvieto, a wondrous hill town, where you will explore the city and visit the famous Well of St. Patrick. You will stop for lunch and indulge in fantastic flavors of the Tuscan Countryside. Afterwards, you will visit the Piazza del Campo and the National Archeological Museum where you will learn about the ancient Etruscans. The evening will be dedicated to the ancient town of Perugia where you will check in to your exclusive Hotel and enjoy a delicious dinner. The next morning your Driver will accompany you to the Umbrian town of Assisi, the hometown of Saint Francis and Saint Clare. You will visit the Basilica of Saint Francis as well as many other extraordinary churches located in the ancient town. Taste the rich flavors of the local specialties at lunch, before returning to Perugia. End your day with an exquisite four course dinner in Perugia. Your first stop in Tuscany will be the town of Arezzo, an ancient Etruscan City filled with history that you will learn about as you visit the beautiful Cathedral and the Chiesa di S. Maria della Pieve and its Tower of 100 Holes, known for its 40 windows spread over 5 floors. You will enjoy a delicious lunch at a lovely Tuscan restaurant before your English Speaking Driver accompanies you to Monte San Salvino, located in the heart of Val di Chiana. Admire its aristocratic residences and the ancient ghetto. In the medieval town of Poppi you will view the incredible frescoes that remain preserved through the centuries. You will then reach the Bocelli FarmHouse where you will check in and spend the rest of your evening relaxing before heading to dinner at a nearby restaurant. Day seven will be impressive as you firstly visit the medieval town of San Gimignano and admire the famous Towers that dominate the skyline. Your Private Driver will then chauffeur you to Siena, known for its annual Palio. Situated on the cobblestone streets is the Duomo and the main Piazza, take in the medieval architecture as you explore. During your stay in Siena, you will also visit the Etruscan Museum and gain insight into the interesting history of the ancient Etruscans. Your luscious lunch and dinner will be full of rich flavor and local delicacies. The next day on your Bocelli Seasons Tour includes a visit to the medieval city of Lucca, where Dante Alighieri famously lived in exile. You will immerse yourself in the culture as you visit the Piazza S. Michele, Chiesa di S. Michele in Foro and the Duomo and the Botanical Garden. You will also see the Torre Guinigi and the ancient Roman Amphitheater. Continue this music centered tour with a visit to Villa Puccini in Torre del Lago where you will learn about the illustrious composer at the museum dedicated to his genius. You will enjoy a Four Course Lucchese Lunch and your English Speaking Driver will accompany you to Garfagnana, nestled between the Alps and Apennines. Visit the Ponte della Maddalena, known as ‘Ponte del Diavolo’ and tour the borgo before being chauffeured back to the Bocelli FarmHouse via panoramic routes. Finish the day with a delectable four course meal in Lajatico. The next day, on your Bocelli Seasons Tour you will be chauffeured by your driver to the town of Volterra, known for its Alabaster crafts where you will visit the Ancient roman theatre. Next, your Private Driver will accompany you to Lajatico – Andrea Bocelli’s hometown. Enjoy a stroll in the town, and visit the Teatro Del Silenzio venue where the Maestro’s annual concert is held. 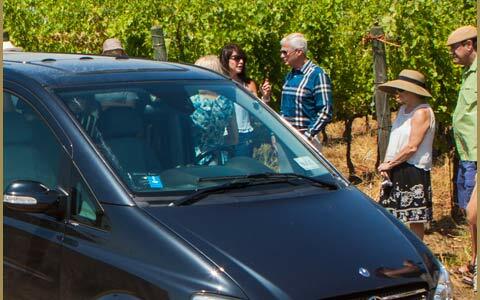 You will then move to the Bocelli vineyards, where you will enjoy a guided tour and have a chance to learn about the grapes used for the Bocelli’s exquisite family produced wine. 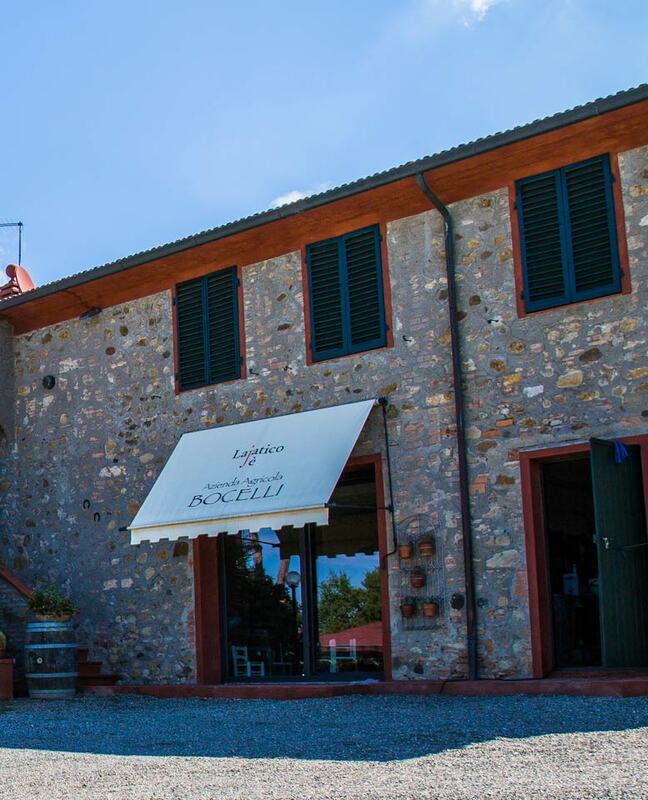 Your tour will then move into the Bocelli Cellars, for a private wine tasting experience with Alberto and Cinzia Bocelli. You will also have a chance to taste their oil and honey! After having a chance to shop their fine wine collection, you will be chauffeured chauffeured to theBocelli Restaurant for an exquisite four course meal. Learn more about the tenor’s early life and international career as you visit the Bocelli Museum nearby. After your delicious lunch, you will be escorted back to your accommodation for some relax time. End your evening with yet another delicious meal at a Tuscan restaurant nearby. The next of your Bocelli Four Seasons Tour will be a much needed continuation of the beautiful city of Florence. You will visit the Uffizi Museum where you will see works by Michelangelo, Caravaggio, Da Vinci, and Botticelli. You will enjoy the breathtaking view of the Arno River with its many artisan shops from the famous Ponte Vecchio. At the Accademia Museum you will witness the original Statue of David by Michelangelo which will leave you speechless. You won’t miss out on the magnificent flavors of Florentine cuisine as you dine in the heart of Florence for lunch. Wine lovers will adore day eleven of their Bocelli Four Seasons Tour, as they embark on a Chianti tour! After a delicious breakfast in the borgo’s top cafè, located near your accommodation, your English Speaking Driver will pick you up for your next adventure. On a relaxing and picturesque drive, you will be escorted to the scenic wine region of Chianti. Your first stop will be the medieval borgo of Montefioralle, where you will indulge in a fine wine tasting of a typical local Chianti wine. Up next, you will be accompanied to an ancient farmhouse where you will enjoy a hearty lunch alongside some sublime wine. You will also visit the cellars and discover the secrets and process behind their unique wine production. After lunch, you will continue your tour of Chianti and Greve in Chianti before heading back to your accommodation in Lajatico. Take the evening to unwind before heading to yet another delectable lunch. The next stop on your itinerary will be the magnificent town of Bolgheri. Your tour will start with a visit of the ancient village, including its thousand year old Castle. Next, you will indulge in a wine tasting experience of the world famous Bolgheri red wine. Enjoy a lunch filled with typical dishes before heading to Castagneto Carducci, named after the Italian poet Giosuè Carducci. Located on the Etruscan Coast, its beautiful landscapes will be the perfect way to end this day. You’ll be off to the coast on the second last day of your Bocelli Four Seasons Tour! After a delicious breakfast, you’ll be once more greeted by your Private Driver – ready to chauffeur you to the region of Ligura. After a relaxing drive through the northern territories of Tuscany, you’ll reach the awe inspiring Ligurian Riviera. Your first stop will be the enchanting town of Santa Margherita Ligure, very famous for being characteristic and elegant. There you will have the chance to check out its historical centre and shop in the many exclusive boutiques. After Santa Margherita you will be heading to fine Portofino (“The Fine Port”), where the concierge of the local trattoria set in the colorful central square will be awaiting you for a fine four course lunch based on typical Ligurian dishes. After lunch, you will have a splendid time among the very elegant districts of Portofino exploring its chic boutiques and enjoying the Riviera atmosphere. Your driver will then accompany you back to your accommodation with a dinner stop over along the Tuscan Riviera, in the sea town of Viareggio, where you will enjoy a fine dinner with plenty of seafood specialties and delicious wine. After your dinner your driver will accompany you back to your accommodation. 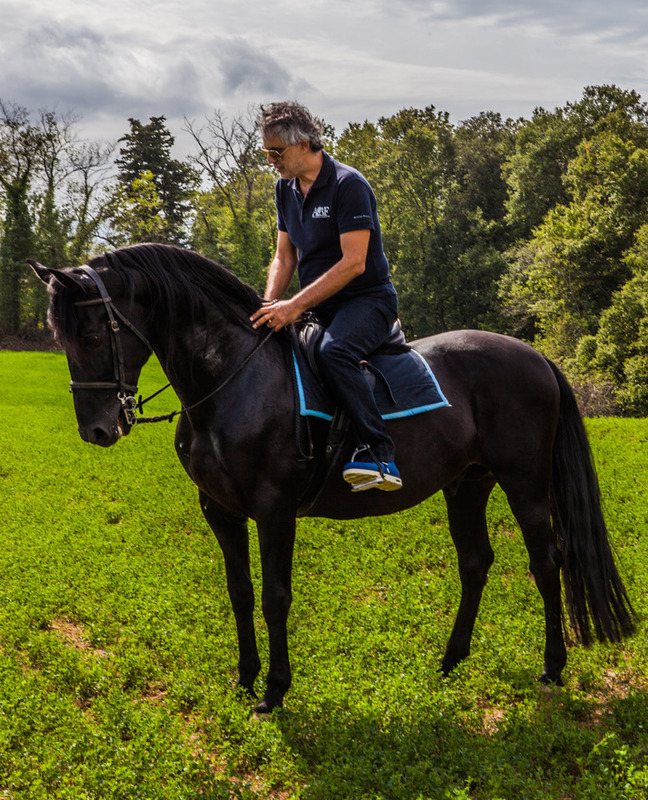 On the final day of your Bocelli Seasons Tour you will visit Tuscania and Tarquinia. Tuscania is a marvelous ancient city with Etruscan origins that is home to the gorgeous Chiesa di S. Maria Maggiore and the Torre Mozza that holds a reliquary of sculptures of many saints. In Tarquinia you will take a tour of the city that is famous for its many churches and is known as the most ancient Etruscan settlement, home to the ancient Etruscan Necropolis.You will enjoy a fantastic lunch in the Tuscan Countryside dining on delicious flavors of food and wine. After your unforgettable Bocelli Seasons Tour, your private English Speaking Driver will accompany you to your next accommodation or Tuscan airport/train station.